A hacker from the group that leaked the contact information of thousands of FBI and DHS employees says he did the US government a favor, as the breach exposed deep flaws in US national security and prompted these them to finally be addressed. “The fact that [US authorities] think five people under 30 did this [hack], imagine what a foreign nation could do. The group exposed how vulnerable our government is,” Justin Gray Liverman said in an interview to Sputnik news agency. “The group basically did them a favor by exposing these security flaws before nation state hackers exploited them… In this day and age, you have to embarrass the government to get them to proactively and quickly fix things,” Liverman added. Liverman, allegedly @_d3f4ult on Twitter, is a 24-year-old citizen from the US state of North Carolina. He was arrested in September, accused of being part of the “Crackas With Attitude” hacking group. The group, all of whose alleged members are under 30 years old, with two even underage, stands behind breaching the CIA director’s personal email, home telephone, and internet account, as well as those of FBI Deputy Director Mark Giuliano. They also claim they were justified in hacking the Department of Justice (DOJ). That latest intrusion led to the exposure of as many as 9,000 employees at the Department of Homeland Security and 20,000 at the FBI. 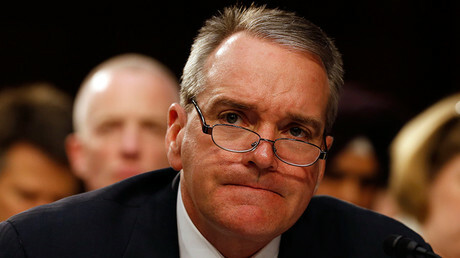 Liverman denies that he ever personally accessed the federal databases, but justifies hacking into the personal data of US officials, as their attitude towards their own data security was irresponsible. “If you’re the CIA director you shouldn’t have an AOL account,” Liverman said, referring to the group breaching CIA director John Brennan’s e-mail address. “Not only should he not have had an AOL email, but it’s illegal to use them for government purposes – similar to the Hillary [Clinton] scandal, except he didn’t host them himself, which would have been more secure than AOL,” Liverman explained. Investigators believe that the group formed in July of 2015 when a hacker operating under the alias Cracka spoke to another alleged group member, claiming that he’d got his hands on the Social Security number of a US official and breached his Comcast account. 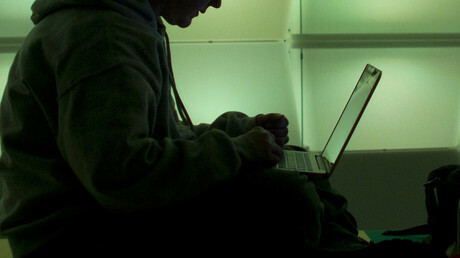 The hackers then allegedly proceeded to carry out other breaches, using so-called ‘social engineering’ hacking techniques, when they impersonated US government officials “to gain unlawful access to [their] personal online accounts, [those of] their families, and several US government computer systems,” according to a press release from the Department of Justice. For example, a member of the group claimed to have accessed the DOJ’s system by calling the information desk and pretending to be a new employee, Motherboard reported. CWA members also enjoyed taunting their victims, such as when they found Giuliano’s cellphone number after hacking him and called him repeatedly to irritate him. The group members frequently communicated over Twitter and boasted about their hacks there as well. However, Liverman claims they never met in person and used special encryption for communication, which had to be hacked in order to be accessed. Authorities were able to find him by tracing his IP address when Liverman allegedly made the mistake of logging into his Twitter account from home. He told Sputnik that his computer had been hacked two nights before he was raided and subsequently arrested, and that it was after seizing his computer that the authorities gained access to all of his encrypted data. “Me and Cracka utilized OTR encryption which [Edward] Snowden exposed that the NSA can’t break, but if they raid you and get your computer they can use your private key to decrypt OTR encrypted traffic that they might have dragnetted,” Liverman said. He said he believes the authorities used illegal tactics to arrest him and another CWA member from the US, 22-year-old Andrew Otto Boggs, who was discovered when he logged into a Twitter account affiliated with the hacks from his father’s home. The method Liverman thinks authorities employed is in line with controversial amendments to Rule 41 of the Federal Rules of Criminal Procedure that have been proposed to allow the FBI to conduct mass surveillance without a warrant. The amendments have not yet been passed in Congress, however, with the deadline set for December 1. “They mentioned something about me and Cracka using similar tor nodes, so it’s possible that they utilized their malicious tor nodes for MitM Jabber servers which we mostly used to communicate,” Liverman said, alleging that the FBI had hacked the software Liverman and Cracka used that makes anonymous communication possible. 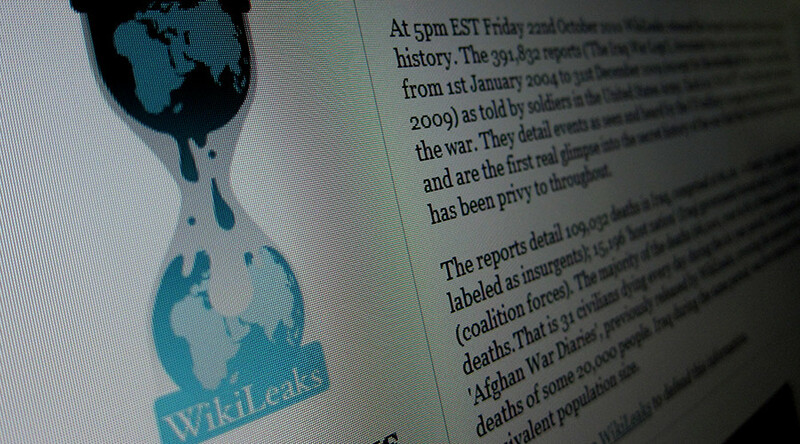 A criminal inquiry, which was initially opened by the FBI and the US Secret Service last October, was announced after some of the hacked documents were published by WikiLeaks. While Liverman and Boggs were set free after their arrest, they are still under investigation and have been banned from accessing the internet until their next court hearing, which is scheduled for November. Cracka and at least two other members of the group are from the United Kingdom, and they are currently being probed by the Crown Prosecution Service. Cracka and a member known as “Cubed” were arrested earlier this year, but their identities have been kept secret, as they are believed to be 15-year-old and 16-year-old minors, respectively.